We recommend that you retain an experienced New Jersey real estate attorney if you have been served with the summons and complaint, which starts the foreclosure suit, to advise you of your rights. There are many defenses to a foreclosure suit. For example, the bank seeking to foreclosure has to produce the mortgage and note (the loan document) on which it seeks to foreclose. If the bank seeking to foreclosure is not the original bank, then its must produce documents that establish that it had properly acquired the mortgage and note from the original bank. People can also seek mediation while the foreclosure litigation is pending. Mediation will not stop the foreclosure proceeding, but will allow the parties to come together and agree to a terms that can stop the foreclosure and reinstate the loan. It is often successful. On the other hand, filing for Chapter 13 bankruptcy reorganization can stop the foreclosure of a home and allow time to repay the outstanding delinquency over the course of three to five years, thereby allowing people to keep their homes and reducing other debts. In New Jersey, banks are required to allow the people the right to cure a default even after litigation is filed. However, if the litigation is filed people are normally required to pay the bank’s court costs and attorneys fees to cure the default. 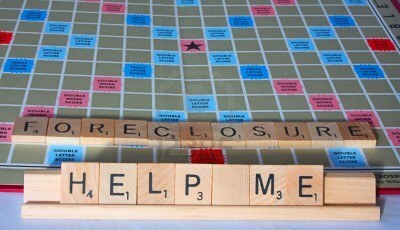 If you are facing foreclosure, we can help. We regularly help people to negotiate mortgages, litigate and mediate foreclosure matters, and file for bankruptcy protection. Our attorneys have extensive experience representing homeowners. To learn more about what we can do to help, e-mail us or call (973) 890-0004.